ToyArk.com has just received new Official Images direct from Hasbro. The new update includes the latest G.I. Joe Modern Era 5 Pack. 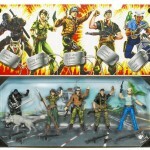 The figures included in the new set are: Hawk, Flint, Lady Jaye, Shipwreck and Snake Eyes. 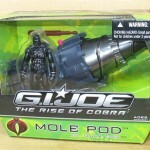 There may look like re-pack figures at first glance, but most are new upgraded molds. To view the new update click the Title Bar.